If you’re one of the more than 100 million Americans living with diabetes or prediabetes, you can manage your disease and improve your health with support from an expert physician like Shawn Veiseh, MD. 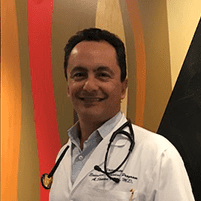 Dr. Veiseh diagnoses and treats diabetes at his private practice, University Executive Physical Program, in the Westwood neighborhood of Los Angeles. Call or schedule an appointment online today for expert diabetes management services and advice. Diabetes is a chronic disease that develops when your body either doesn’t produce enough insulin or doesn’t use insulin correctly. Produced in your pancreas, insulin is one of the many hormones that regulate your body functions. Specifically, insulin helps your body use blood sugar to create energy. Diabetes is classified as either Type 1, which is sometimes called juvenile diabetes, or Type 2, which is also referred to as insulin resistance. Type 1 diabetes occurs when your body doesn’t produce enough insulin. Type 2 diabetes develops when your body doesn’t use insulin correctly. Your body responds by making even more insulin but, eventually, your pancreas can’t keep up with your body’s needs. Type 1 diabetes is the result of an autoimmune disorder where your body attacks the insulin-producing cells in your pancreas. Medical researchers don’t fully understand what causes your immune system to attack your pancreas, but it could be due to genetics or environmental factors, like viruses. Type 2 diabetes, which comprises 95% of diabetes diagnoses, is also influenced by genetic factors. However, your lifestyle significantly increases your chance of developing the disease. If you’re overweight or lead a sedentary lifestyle, your body struggles to efficiently use insulin. Your insulin resistance is likely compounded by a poor diet that includes too many processed foods, sugar, salt, and fat, which further overtaxes your body. Dr. Veiseh treats diabetes with a combination of lifestyle modifications and medication. While there’s no cure for diabetes, you can control your glucose levels and symptoms to lead a healthy and active life. You will need to get used to monitoring your blood sugar at home with simple blood tests. Dr. Veiseh recommends dietary changes to cut back on sugar, salt, fat, and alcohol. He also suggests that you get at least 30 minutes of moderate activity every day. For example, you could take a brisk walk with your family after dinner. Changing your diet and exercise habits can help you reach and maintain a healthy body weight, which can also improve your health. If necessary, Dr. Veiseh prescribes insulin and other medications to regulate your blood sugar and help to manage symptoms. If you’re concerned about diabetes, call or schedule an appointment online today to meet with Dr. Veiseh for glucose screening and treatments to manage diabetes.